I remember watching an episode of The Simpsons where Homer discovered he had a long lost brother. His father apparently had an affair with a female carnival employee and had a love child. The carnival moved away and the girl he got pregnant moved away with the circus as well. Well, fast forward several decades and it turns out that Homer’s half brother became a successful Detroit car executive. He rose through the ranks and he led one of America’s huge car companies. Homer got in touch with his long lost brother. It turns out that his brother has always dreamt of coming up with the all-American car. This has always been his obsession. 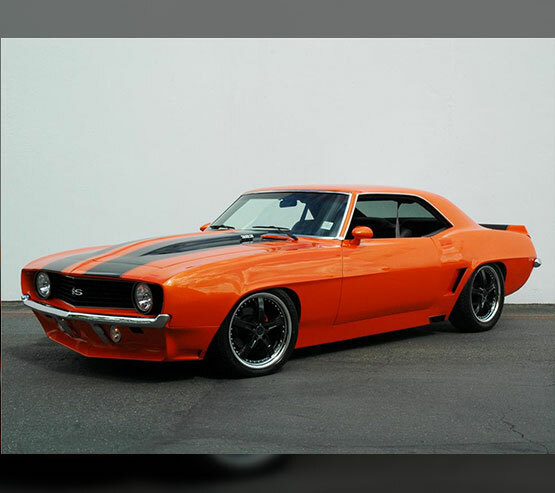 While he has been quite successful with the models his company has been producing over the years, the ever elusive project of coming up with a car that captured the everyman experience and spirit of the all-American male eluded him. Well, he looked at his brother, Homer, and saw the all-American male. He looked at Homer Simpson as the embodiment of average, everyday American guys. So using Homer’s preferences, he had a car designed that is supposed to speak to all the needs that middle American males would want in a piece of automotive engineering. Well, it is no surprise that the project was a flop. It turns out that Homer’s personal preferences in cars were statistical outliers and there was absolutely no market for the car designed based around his needs. It goes without saying that Homer’s brother was kicked out of the company because his project failed. It burned through a lot of cash, and it was a major embarrassing disaster for everyone involved. I bring up this story because the whole idea of an all-American car has been burning in the psyches of many car reviewers, car experts, and automotive engineers throughout the decades. It seems that as soon as the American automotive industry grew past its infancy, design teams, both within and outside the United States, have been contemplating about coming up with some sort of all-American design. Well, I raise the Homer Simpson episode as a cautionary tale. The idea that there’s some sort of one-size-fits-all cookie-cutter approach to design elements that speak to some sort of broad ranging set of cultural values is, at best, an illusion and, at worst, an expensive delusion. The best the American automotive industry can come up with is to come up with semi-customized or semi-personalized car lines. In other words, you would still get a vehicle that has been thoroughly tested in terms of consumer demand, but you can customize it. It’s still a product of focus groups and surveys, but there are enough bells and whistles that you can swap out to match your personal preferences. In other words, car companies would do best to keep doing what they’re currently doing. This is really the best they can do because if you were going to go into some sort of hyper customization, it simply is just going to cost too much. Also, while custom molds and custom manufacturing equipment that are assembled and designed on the fly are fast becoming reality, we’re still not there yet. I suspect that there would be a tremendous amount of technological disruptions needed for a truly automated, low cost, fully personalized car industry to materialize. I’m not ruling out the possibility, but the technology simply is not there yet. There has to be a tremendous amount of artificial intelligence, instant fabrication and low labor costs, which means automation, for this to all fall into place. Otherwise, the best you could do is to either adopt the model I described above, or go the super expensive rout like Ferraris and Lamborghinis.